Oscar Watch: How Does Success of Gravity Alter Race? Gravity broke records at the box office this past weekend, scoring $56 million and setting an earnings high for the month of October. It is astounding for several reasons, most notably because this is a month normally reserved for high box office numbers for horror movies as we lead up to the Halloween holiday. The film it surpassed was Paranormal Activity 3! But, what does its financial and critical success (check out our five-star Gravity review) mean for its Oscar chances? Even watching that first Gravity trailer, it would be easy to see that the film had a lock on getting nominations for cinematography and special effects. But, now that the film is out and people are almost uniformly praising it, there is no reason to think it will not score a Best Picture nomination, a Best Director nomination for Alfonso Cuaron and a Best Actress nomination for Sandra Bullock. Cuaron took four years to bring Gravity to life, and Warner Bros. even invested millions in filmmaking technology to bring his vision to the screen. His passion and talents are seen on every frame of film and it, at this point, has to be not only a lock for a Best Picture nod, but a leader in that race. Of course, there are still many more Oscar bait Best Picture films to come… more on that in a minute. Bullock most certainly deserves a nod -- after all, she carries the movie. There is an emotional punch to the film that takes it beyond a science fiction game-changer (it’s on our list of Top 10 Game-Changing Sci-Fi movies) to a human story that resonates on so many levels. And that is largely due to her performance. The enormous box office success of Gravity also should push its Best Picture aspirations. The Academy loves rewarding work that audiences also adore. And since the praise has been so uniformly universal, there is no way this film will not score that coveted nomination. But, whether it will win is another story. Time will tell, as the famous phrase goes. Coming out of the Toronto Film Fest (where many Best Picture winners have emerged from in the past), Gravity scored high marks, but so too did 12 Years a Slave and that film hits theaters October 18. Toronto also saw Idris Elba’s stunning turn as Nelson Mandela in Long Walk to Freedom… easily a contender. There also is the crowded Christmas movie season that will see Tom Hanks as Walt Disney in Saving Mr. Banks. Oscar loves rewarding its own and the story of how Mary Poppins came to be surely has Oscar written all over it. David O. Russell scored last year with Silver Linings Playbook and previously with The Fighter, and he has combined cast members of both those movies in American Hustle. And judging by that first American Hustle trailer, look for his latest film to be in contention as well. George Clooney’s The Monuments Men shows the importance of art, even as the terror of World War II rages… something the Academy also adores. Captain Phillips will likely be considered, as will Inside Llewyn Davis (the Oscars adore the Coen brothers). Now, the question is: Will Oscar still remember The Butler for Best Picture? It’s also a box office winner, so we say yes, but another early in the year film that is worthy may be forgotten, Fruitvale Station. August: Osage County will likely get acting nods for its cast including Meryl Streep and Julia Roberts, as will Blue Jasmine for sure-fire Best Actress nominee Cate Blanchett. Lastly, Martin Scorsese is busy at work on his Wolf of Wall Street, and if he can finish it on time, that has to be one considered for the ten potential Best Picture slots. 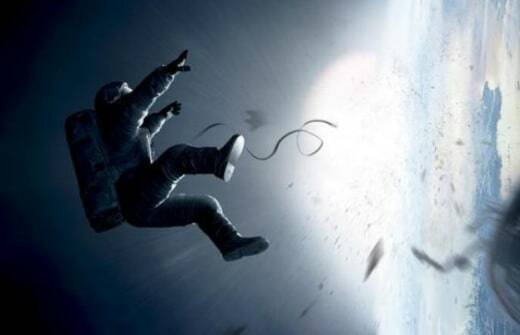 In the end, Gravity -- given what we’ve discussed above -- will most certainly be a lock for Best Picture. Its box office success has only enhanced that prediction. Whether it will win or not… is another story altogether.